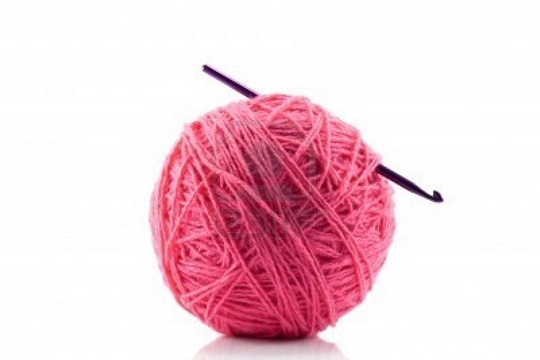 Breast Cancer · Crochet · Donations · Entangled! October is National Breast Cancer Awareness Month. Pink ribbons, pink clothing, pink, pink, and more pink will be everywhere you look this month. In fact, I make a point of wearing my pink breast cancer pin every day during October. Numerous cities and towns across the United States will host walks or races to raise money for research to eradicate this dreaded disease. The National Breast Cancer Foundation, Susan G. Komen for the Cure, The American Cancer Society, The Breast Cancer Research Foundation, and other organizations are dedicated to defeating breast cancer. Check out the facts. I have several friends and colleagues who have battled this disease. Some of my wonderful friends were triumphant! Others lost the battle after a valiant fight. I have decided to celebrate those individuals (Men can be diagnosed with breast cancer, too) this month. So, I encourage you to think about the people in your life for whom breast cancer is a constant companion. Pray for healing and restoration. For those who have succumbed, recall your fond memories of them. Continue their legacies. Raise money for breast cancer research and/or for survivorship organizations. I plan to do all of the above. Additionally, in honor of Breast Cancer Awareness Month, in our Etsy Shop, Interwoven Creations by Crystal is offering free shipping to U.S. addresses with coupon code PINK2011. Stop by our Etsy Shop. Buy a pink item or place an order for a pink custom creation. We will donate 10% of sales of pink items sold or pink custom creations ordered during October to Sisters Network, a national African-American breast cancer survivorship organization. I plan to use my yarn and crochet hooks to fight. I encourage you to think of your own way to participate in the fight against breast cancer. Together, we can win! Next Post Preparing for the Holidays…..